Although we see plenty of games allowing you to play sports such as football, rugby and golf on a regular basis, games which allow you play winter sports are certainly a rarer breed. 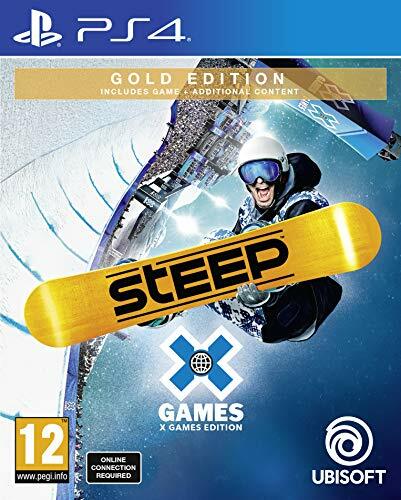 Steep was originally released by Ubisoft back in 2017, and it has now been given a re-packaged edition to include most of the previously released DLC, along with all new content based on the X Games, which is an American event composed of several types of extreme sports. With its open world structure, fast travel landmarks and challenge-based missions, it is immediately noticeable in Steep that Ubisoft have implemented several gameplay mechanics that have become synonymous with their products. While many winter sport simulation titles only showcase one activity, Steep allows you to compete in several different types of event, ranging from slalom style skiing to downhill snowboarding and parachute jumping, each allowing you to earn graded medals depending on your performance. Aside from a few initial loading screens, any jumping between missions or restarting the currently active challenges is near instantaneous, allowing you to keep yourself immersed within Steep’s winter wonderland. While there isn’t a strict narrative progression in Steep, your rank progression allows you to compete in more difficult events, and also unlock various kinds of new clothes and sporting equipment. Although the range on offer is extensive, none of them of them alter your basic abilities. It is not so much of an issue in a realistic sport simulation like Steep, but for anyone who prefers the arcade style racing offered by Cool Boarders or SSX, it feels like a missed opportunity to encourage replay value once the game has been completed. One of the most important aspects of any simulation title are the controls and physics for each of the playable sports. Controlling your descent down the slopes is done using both analog sticks, whilst the left and right trigger buttons control your trick actions and jumping respectively. While the physics for the skiing and snowboarding feel tight and refined, some of the aerial controls for the diving and paragliding can sometimes lack the same precision. It is never bad enough to cause serious problems, but it can sometimes make the difference between earning a gold or silver medal in a challenge. 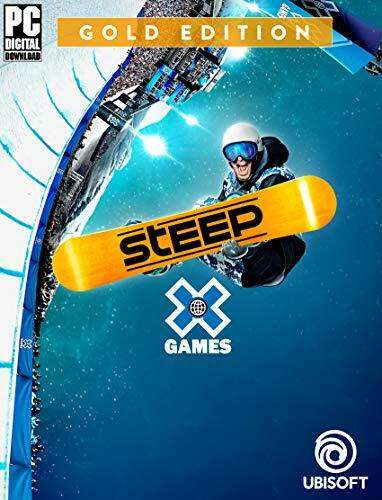 Outside the base game, one of the highlights of the X Games Gold Edition is the inclusion of X Games themed challenges, as well as previously released content packs and the Year 1 Season Pass. Each expansion adds several new missions to the mix, such as toboggan rides, speed ridings and SuperPipe events. The new events give a fresh breath of life into the game, and the DLC passes will also allow for access to two extra DLC packs when they arrive later this month and in the new year. From a graphical standpoint, Steep combines detailed mountainous landscapes and dynamic weather effects to great effect, with very little drops in frame rate to be seen anywhere on the PS4 Pro. The diegetic sounds of the great outdoors have been perfectly replicated and has been blended with a mixture of licensed music tracks that will appeal to everyone’s musical tastes. Overall, Steep X Games Gold Edition is a fantastic way to experience one of the best sport simulation games of the past few years. The large variety of events on offer, along with the open world exploration and customisable clothing will fully immerse you within the winter sport paradise that the game provides. If you have been looking for a realistic simulation experience to get your teeth into this winter, Steep should definitely be one of the titles on the list for your consideration. Whether on the ground or in the air, Steep X Games Gold Edition is a winter sports experience that should certainly be experienced.